Overall the meal was fantastic. For the most part the food was excellent, the service was top-notch and we really, really enjoyed watching the open kitchen. We are both pretty interested in food (obviously), so getting a chance to watch such talented chefs at work was a lot of fun. I recently went out east to visit my boyfriend, Byron, and attend and celebrate his Bar Call. As usual, I was in Ottawa for a while but we actually ended up spending the majority of the time in Toronto as that is where the ceremony was. 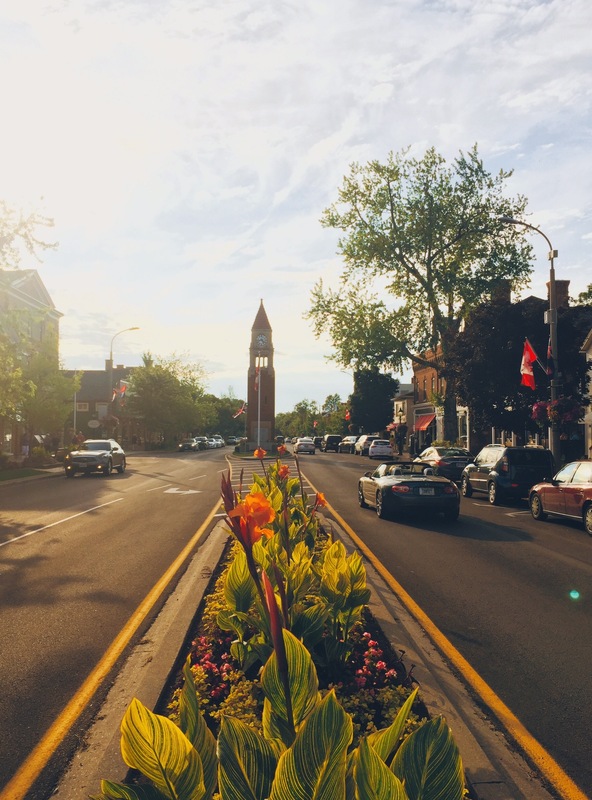 There is so much to see and do (and eat) in Toronto, but I also really wanted to get out of the city and visit Niagara-on-the-Lake. Everyone is likely familiar with Niagara Falls, where although the falls are impressive, it has the distinct feeling of a tourist trap. So, rather than stay there, we opted to stay at the much more relaxed and quaint Niagara-on-the-Lake, which is right in the heart of Niagara’s wine country. This also worked out really well because it meant we didn’t have to drive at all to get to our wine tasting or dinner, and when you are in wine country, you really don’t want to have to drive. We spent the afternoon on a wine tasting tour, where we visited 4 different wineries and tasted almost 20 different wines. The weather was perfect and it was just such a fun afternoon of day-drinking. There were all sorts of wonderful looking restaurants in the area, but after much research and deliberation I decided on Treadwell Farm to Table Cuisine. 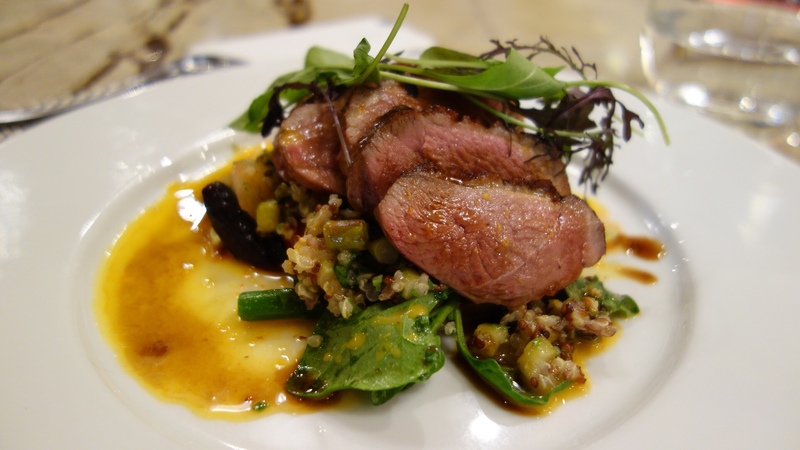 Most of the reviews were very favourable and I always like when a restaurant focuses on local, seasonal ingredients. Although I reserved a table at the restaurant, when we arrived we noticed that the there was a bar around the open kitchen, allowing us to watch the chefs in action. It was incredible to see how skilled, precise and organized all of the chefs in the kitchen were. 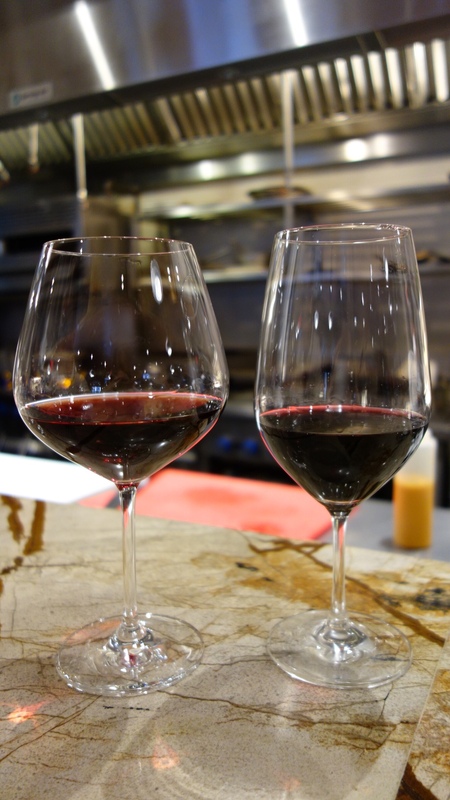 Because we were in wine country, we both opted for a couple of glasses of wine throughout dinner. I started with Ravine Vineyards 2010 Riesling, while Byron decided on the Wismer Vineyards 2011 Chardonnay. Later in the meal I tried a Renny Estate Winery 2010 Paradox Pinot Noir and Byron had the Lailey Vineyards 2010 Cabarnet Franc. When we arrived we were both starving, so we decided to share a couple of appetizers to get started. We opted for the “Pingue’s” Aged 24 Months Prosciutto with “Montforte” Toscano Preserved Lemon, Arugula, Parmesan and Niagara Balsamic Reduction. The prosciutto was amazing, it had such a wonderful flavour and just melted in the mouth. 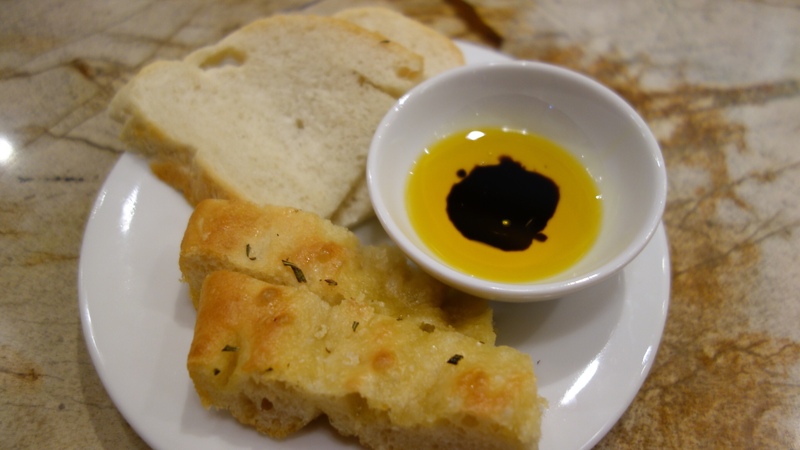 I think I might need to copy this recipe, as I think it would be an easy and delicious appetizer to serve at home. 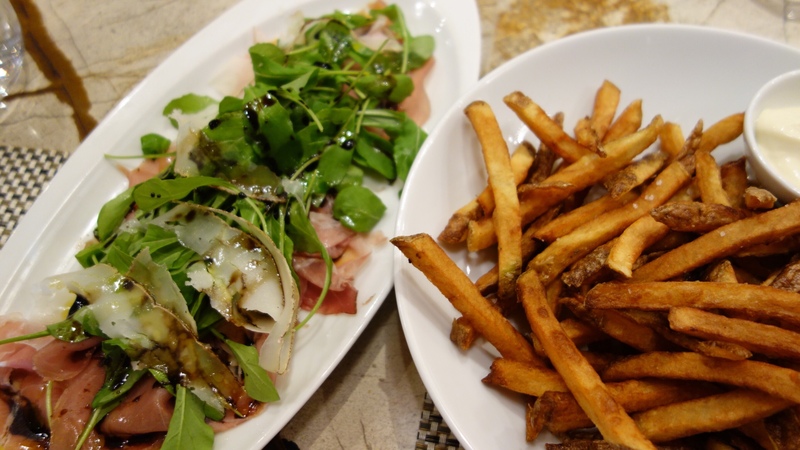 We also started with a side of Fresh Cut Fries, which were served with Rosemary Sea Salt and Malt Vinegar Mayonnaise. Although the fries were tasty, in hindsight we probably should have tried something a little more interesting, but this is what happens with you are sitting in plain sight of the fryer. For our mains, I decided on the 8 Hour Braised “VG’s” Beef Short Ribs with Potato Purée, Pickled Red Onion, and Hoisin Sauce, while Byron picked the Wild Honey and Peppercorn Glazed Muscovy Duck Breast, Quinoa Salad and Sea Buckthorn Vinaigrette. 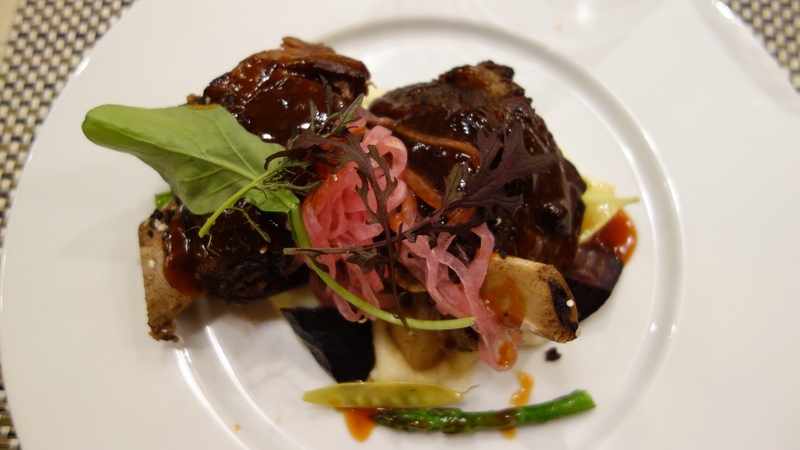 The short ribs were fantastic, they were so incredibly tender and I really liked how the pickled red onion played against the sweetness and fattiness of the hoisin glazed beef. The potato purée was also a delicious addition to the plate. After watching the kitchen for the entire evening, I would hazard a guess that the short ribs are likely the most popular item on the menu. The duck Byron ordered was OK. Unfortunately it tasted like it was under seasoned and that it just lacked flavour. It’s not that the duck was bad, it just wasn’t the home-run we were both hoping for. At this point we were both pretty full, however it was hard to resist the temptation of dessert. 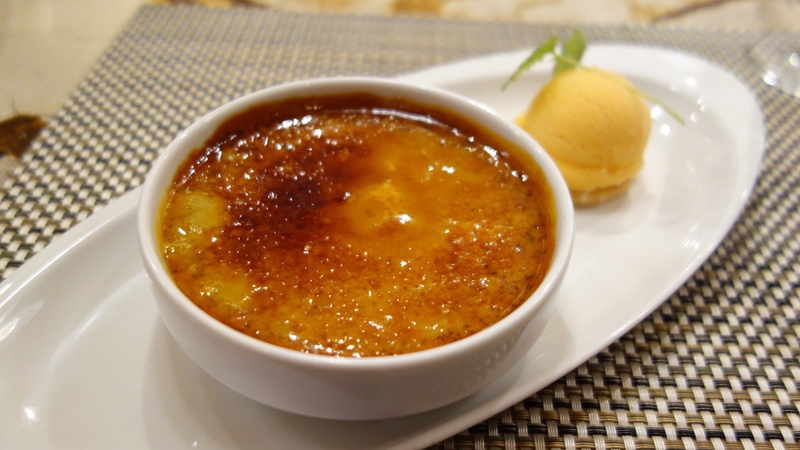 Crème Brulée and Ice Cream are two of my favourite desserts, so when I saw a Green Tea Crème Brulée paired with Sea Buckthorn Sorbet on the menu, my choice was easy. 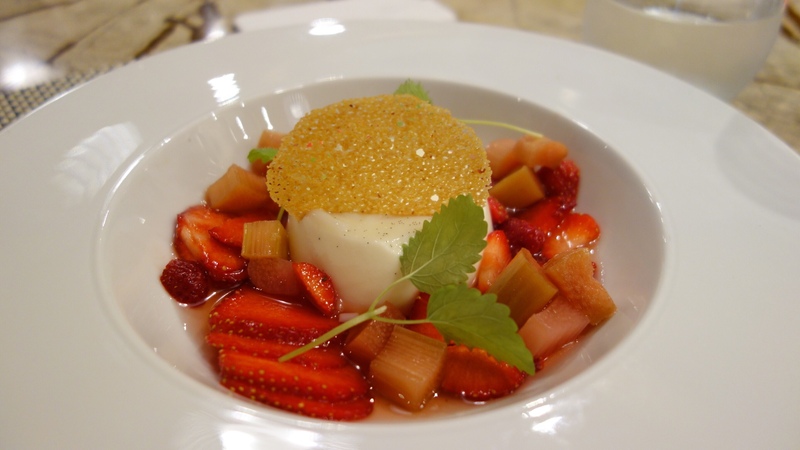 Byron, who is a sucker for Panna Cotta, decided on the Vanilla Bean Panna Cotta with Poached Rhubarb, Corn Tuile and Rhubarb Consommé. Both desserts were fabulous, but at that point we were both incredibly stuffed, so I don’t think either of us finished our plates. Although we did not have a lot of time in Niagara-on-the-Lake, we really enjoyed ourselves. The area was gorgeous and it was fun to explore the wineries, eat some great food and drink some awesome wine. We both agreed that we could happily spend a couple of days there, relaxing, eating, drinking, and maybe hit up the golf course (Byron) and the enjoy some spa time (me). It was the perfect place to get away from the hustle and bustle of Toronto. Previous Entry Paper Eskimo Decor Kit Giveaway!